They’re headlines that you would expect to see on the front of trashy tabloid magazines, but for seventeen-year-old Nicola, and her friends who witness it, they are an unwelcome reality. Olivia is about to turn seventeen, and to celebrate, her parents allow her to have an unsupervised party with her schoolmates in the family home. Amongst the guests are Nicola (Olivia’s best friend), their outwardly open and gay friend Ben, Olivia’s possessive long-time boyfriend Jonty and Olivia’s weird younger sister Alice (who has been sick during the day and can’t leave the house). The party is in full swing when Olivia realises that she hasn’t seen Nicola in a long time. Deciding to search for her friend, she hears reports of strange sounds coming from the locked bathroom and decides to investigate. When she and Ben finally manage to get the door open, they are shocked to find Nicola on the floor and a baby on the way. As a yo-yo dieter, with irregular periods, Nicola’s rounder frame didn’t alert any of them to the fact that she was pregnant, until they found her in labour on the bathroom floor. With this unexpected turn of events, the party is shut down, an ambulance is called and a new life begins. Nicola, thrown in the deep end, has no idea what to do with a new baby. While her single mother grudgingly helps her- and she has the support of several welfare agencies due to her age- she wishes she could also rely on Olivia for help. But Olivia has been acting strangely since the birth, especially when she finds out about the ultimate betrayal involved in the conception of the baby. She also has other personal problems that she has to work out, and can’t seem to find the time to spend with her former best friend. Likewise, Jonty, Ben and Alice all have relationship issues- some of which stem from Nicola’s baby, and some which are linked but not wholly connected to the new child. Will Olivia, Nicola, Ben, Jonty and Alice be able to solve their own problems and go back to the lives they once led? Or is the introduction of the baby a precursor to a new and (somewhat better) life for each of them? Taking inspiration from the writing style of Christos Tsiolkas’ The Slap, this debut novel is narrated via the lives of each of the five main characters. Intricately linked- a chapter per character- each of them cover the five months between February and June (inclusive) and the events that occur within that time frame. They share their experiences with Nicola’s baby and show how the birth has impacted their daily lives, whether it be actively or passively. Each of their stories are compelling to read, and different from what you would expect. It seems that despite all to the contrary, the five of them have very similar fears and concerns, which they keep hidden from their peers and families. This novel is entertaining and strongly written, without being too judgemental. The characters- even those who might seem a bit nasty at times- are relatable and sincere, and the relationships between them are realistic. The author has also added a slight twist to the end of the novel to make the plot more interesting. Her lack of a conclusive finish opens the story’s ending to different interpretations, making this novel stand out from others of a similar nature. 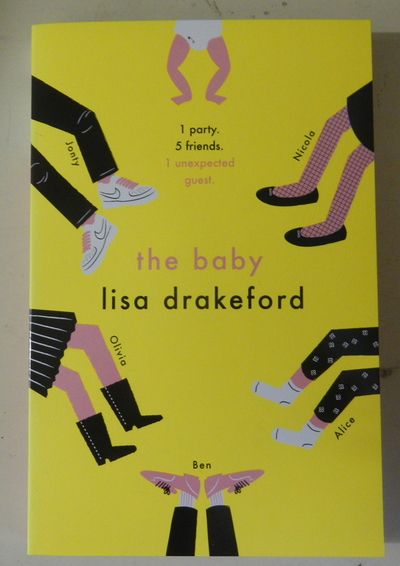 This is a different type of teen pregnancy book from the norm, and well-worth reading for something just a little bit different.